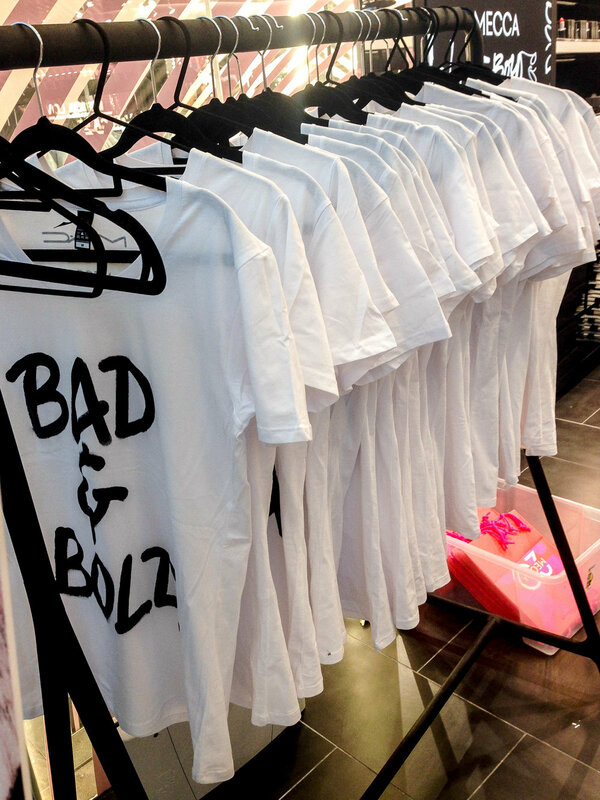 Mecca commissioned me to customise complimentary T-Shirts for customers at the launch of MACxMECCA at Chadstone Shopping Centre — the celebration of MAC Cosmetics launching into Mecca Maxima stores nationwide. 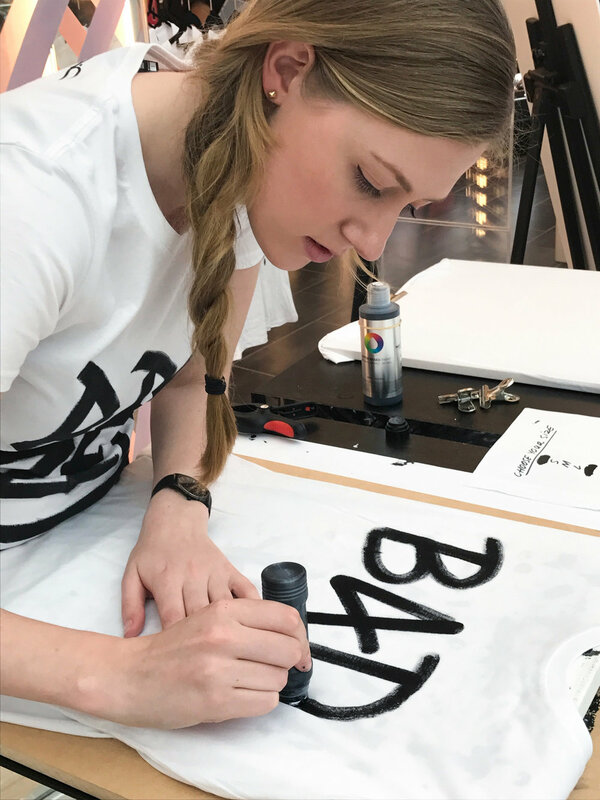 To compliment the buzzing atmosphere of the event and the bold style of both cosmetics brands, Mecca requested a graffiti inspired, edgy lettering style. 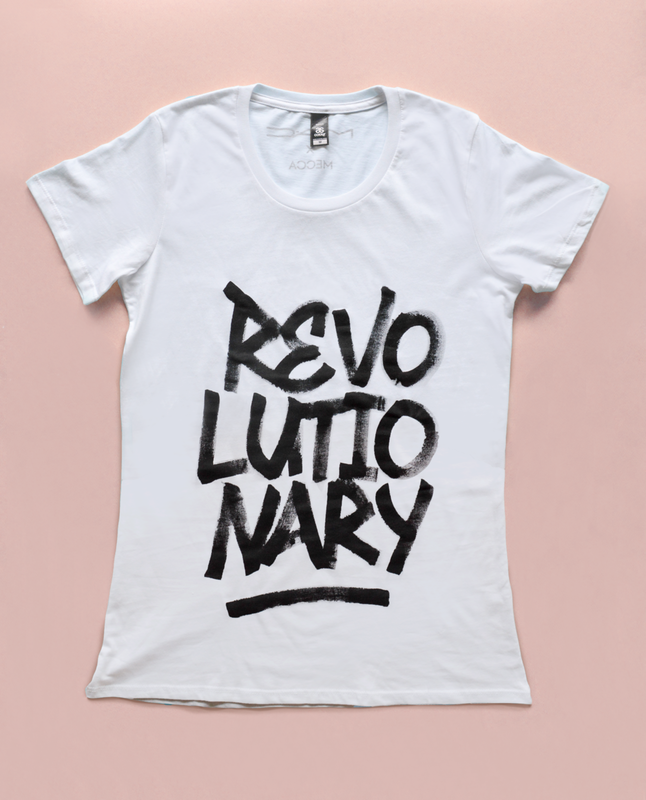 Customers selected a phrase from the options 'Rebellious', 'Bad, Bad, Bad', 'Bad & Bold', 'Brazen', 'Revolutionary', 'Bold' and 'Mac x Mecca' to have personalised on-the-spot. Together, fellow letterer Leona Fietz and I completed 270 shirts over the 5 hour event.